Great deals at a great group of resorts! Or the beautiful Riviera Maya! Or properties with FOUR or FIVE separate beaches for your pleasure. Ranging from lots of waves, to clear and calm water, to coral reef, to beautiful intimate coves for watching a perfect sunset. There is always something for everything at one of these resorts! Lay inside your room and watch the picturesque scenery outside your door while you basque in the relaxation of your own private jacuzzi for two! While the kids can enjoy playing with other children their age at the Kids Club (complete with indoor games, shows, etc, as well as an outdoor playground area and a shallow Kid's pools). Choose from dozens of restaurant options, from buffets to luxury a la cart, for all of your daily meals and snacks, because guess what? It's ALL INCLUDED! For as many restaurants, there are just as many bars. From swim-up to piano to disco... there is a bar on property for every type of traveler! In fact, unless you stay two weeks, you won't be able to do a different one every night. There are just too many! Prices for these resorts start around $690 per person, all inclusive + INCLUDING AIRFARE! Contact us at info@myparadiseplanner.com for exact dates and pricing. All you have to do is pick the dates you want, put down a $100 refundable deposit and you can hold your room. You won't need to pay it off until one week before your trip! If you need to cancel, no problem, you have up to one week before the trip to cancel without loosing your deposit, and up to 48 hours before the trip without losing your deposit + one night's stay. Book now before the deals book up! **Prices are based on resort availability and are subject to change at any time. 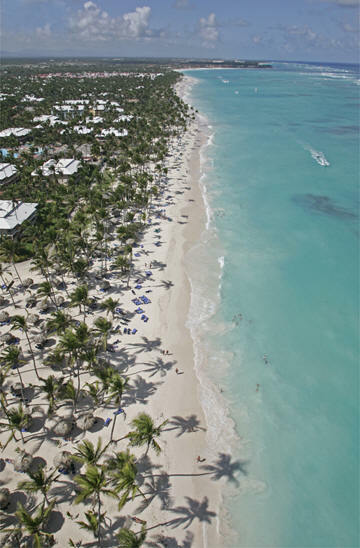 Price above is quoted at 3 nights, 4 days in Punta Cana in the lowest room category. Other destinations, resorts, or airfare from other airports may change the price of the original quote above.